My final article for 2018? If you are looking for information regarding New Year's Eve in Stockholm... click here! 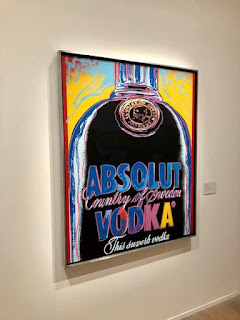 From Warhol 1968 at Moderna. 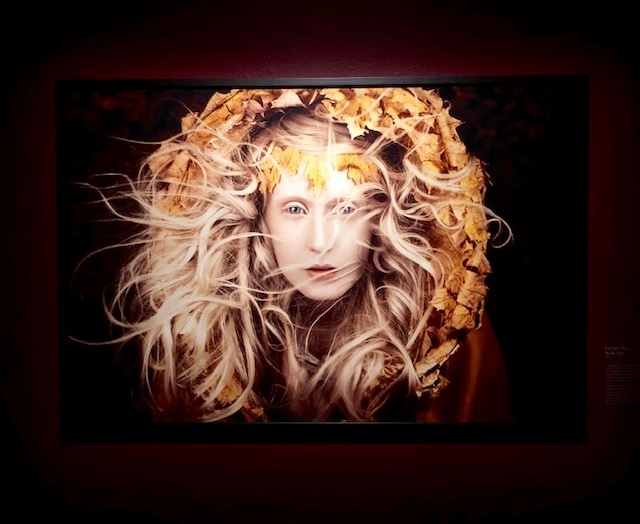 Fotografiska (photography)- several ongoing exhibitions, including "Wonderland" by Kirsty Mitchell (until March 3rd), "Smile - and the rewst will follow" (until Feb 3rd) and "The Last testament" by Jonas Bendiksen (until Feb 17th). 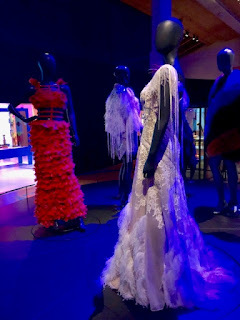 Read about my recent visit to these exhibitions by clicking here. Moderna (modern art)- their ongoing exhibitions include Warhol 1968 (until Feb 17th) and "Remembering She - a Cathedral" (until Feb 3rd). One of their upcoming exhibitions is Gilbert & George (Feb 9th to May 12th). 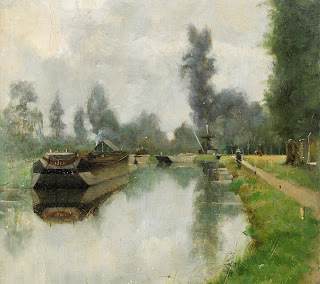 Don't miss a visit to their permanent collection! ArkDes (architecture and design)- their popular Gingerbread House exhibit/contest will be shown a little longer... until Jan 6th. "Young Swedish Design 2019" will be shown from Feb 5th to March 31st. Always at ArkDes? "Architecture in Sweden"! National (classic & fine art, design)- the current exhibitions on John Singer Sargent ends on Jan 13th and "Design Stories" on Feb 17th. One upcoming exhibition of note is "The Danish Golden Age" (Feb 28th to Jul 21st). 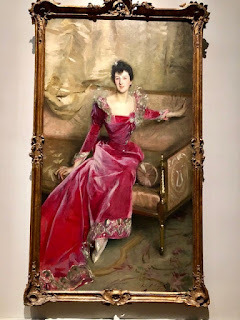 From "John Singer Sargent" at the National Museum. Millesgården (sculpture and art)- most people come to visit the beautiful sculpture gardens featuring the work of Carl Milles, but they also have a gallery with temporary exhibitions.The current exhibition is "William Morris - More Than Floral Wallpaper" ends on Feb 3rd. After that they will be showing "Back to Paradise - Masterpieces of Expressionism" (Feb 20th to June 9th). Kulturhuset (mixed art)- some smaller exhibitions for short periods, including "Fria Fotografers Filial 2019" showcasing the work of amateur photographers (Jan 26th to Feb 17th). Thielska Galleriet (Scandinavian fine art)- their current exhibition on "Ivan Aguéli - Paintings and Mysticism" runs until Feb 10th. After that they will be showing "The Jobs Sisters - Ceramics and Textiles" (Feb 23rd to June 2nd). 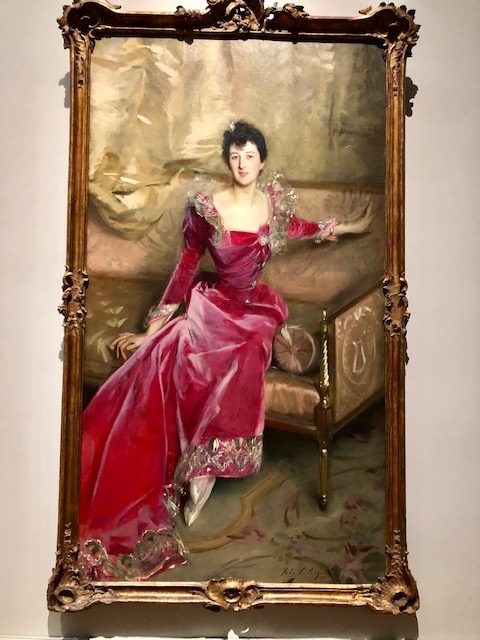 One of the highlights of this museum is their permanent collection of the works of artists like Anders Zorn, Carl Larsson, Edvard Munch and more. Prins Eugen Waldemarsudde (Scandinavian fine art)- there are quite a few ongoing & upcoming exhibitions, like the work of photographer Yanan Li, painter Björn Wessman and an exhibition looking at the artist colony Grez-sur-Loing (featuring 80 pieces of art from a variety of artists. See link above for more info and dates. 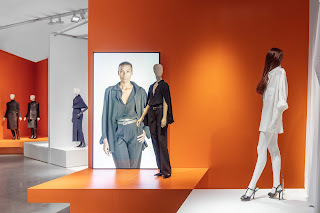 Artipelag (art in archipelago setting)- their fashionable winter exhibition is "Margiela - the Hermès Years" (until March 10th). Liljevalchs (contemporary art)- their current exhibition looking at Soviet Poster Art runs until Jan 6th. The upcoming exhibition will be their Spring Salon 2019 (Jan 25th to Mar 21st) which will showcase 254 works from 136 artists. Bonniers Konsthall (contemporary art)- they have three ongoing exhibitions, all running until Feb 17th: Artists' Film International IV, Peter Liversidge, Woorking Title II and Dora Garcia, I Always Tell the Truth. No information (at the time of this article) about the exhibitions to follow. Sven-Harrys Konstmuseum (mixed art)- you have until Feb 17th to see the beautiful work of Swedish illustrator Jenny Nyström. After that they will be showing "Here's Looking at You" with the iconic photographs from the Hasselblad Foundation (Feb 27th to May 19th). Etnografiska (world culture)- their wonderful exhibition on "Feathers", looking at the use of feathers in art, culture and fashion through history, is running until March 3rd. Traveling with small children? Art museums might not be their favorite activity; Stockholm thankfully has many child-friendly attractions as well. And don't forget a visit to ABBA the Museum and learn all about Sweden's #1 pop export!